Seriously don't miss the Aldrei Fór Ég Suður music festival - it's amazing music, incredibly real and intimate, and it's FREE. 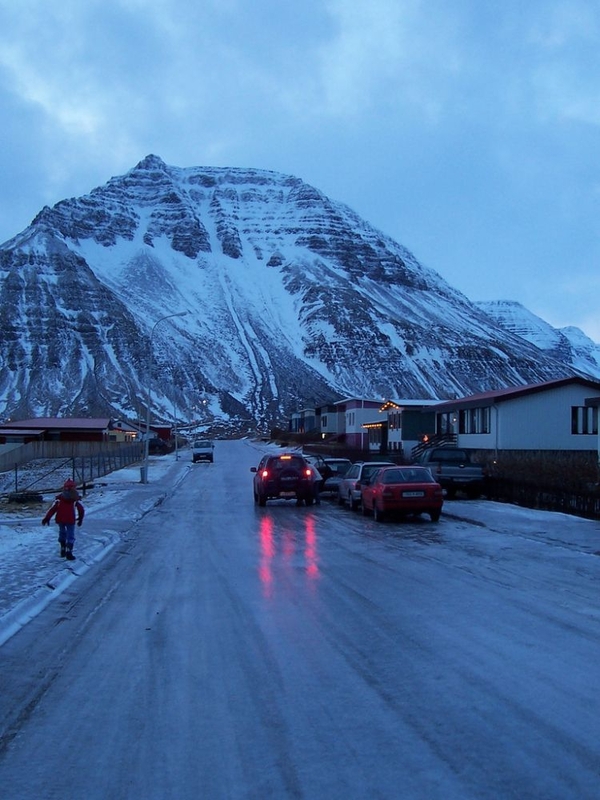 Ísafjörður (Ice-fjord) is the biggest town and center of activity in the Westfjords. Situated at the head of the Skutulsfjörður fjord, it hugs the steep sides of the bay and spills out onto the small Eyri peninsula. It's an indescribable feeling to drive over the inhospitable mountains of the Wesfjords and finally glimpsing this picturesque town across the bay. 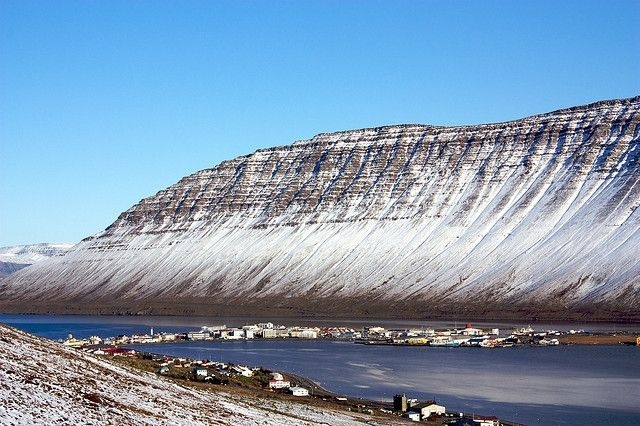 Ísafjörður has a population of 2,600 people and the main industry of the town is fishing. Among interesting things you can do in Ísafjörður, you can hike the numerous mountains all around, see the maritime museum or the folk museum. 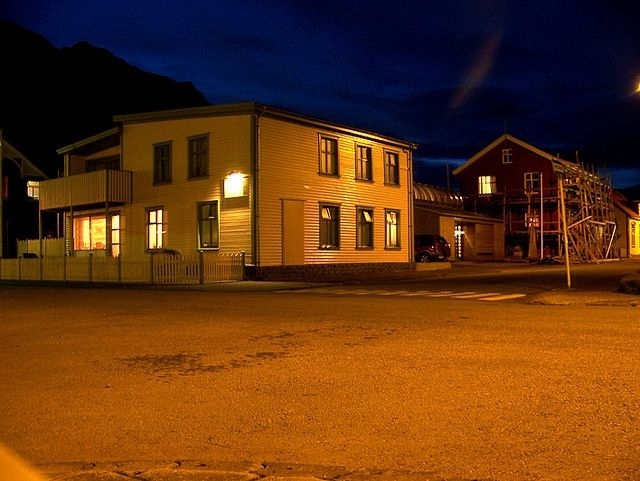 In recent years Ísafjörður's claim to fame has included fantastic music happenings Aldrei Fór Ég Suður rock festival, and the Við Djúpið festival of classical music. 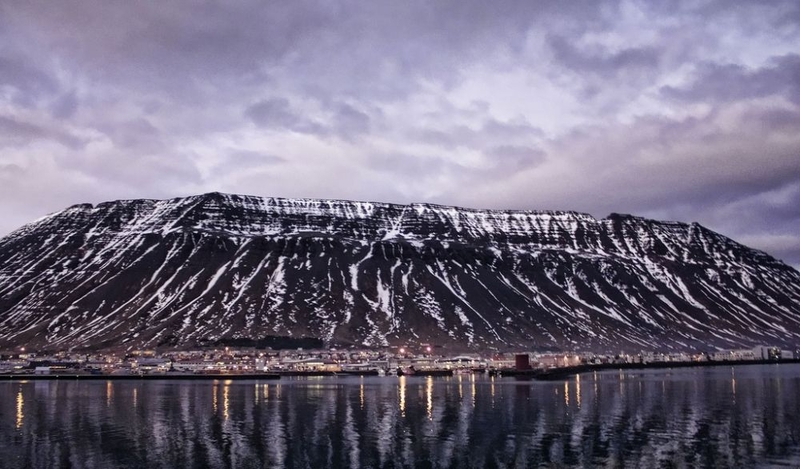 Ísafjörður has a long history, reaching back to the 9th century settlement of Iceland. It has some of the oldest wooden houses in Iceland, among them the very oldest house, constructed in 1734. Other notable examples include Tjöruhús (1742), Turnhús (1744) and Krambúð (1761). Flying to Ísafjörður from Reykjavik takes about 40 minutes and there is one or more flights daily. Driving to Ísafjörður from Reykjavík takes about 6 hours if the weather is good, but take care and be safe, the roads can be tricky. The bus runs three times a week and takes longer.